Please check your inbox for an email that looks like the image below. 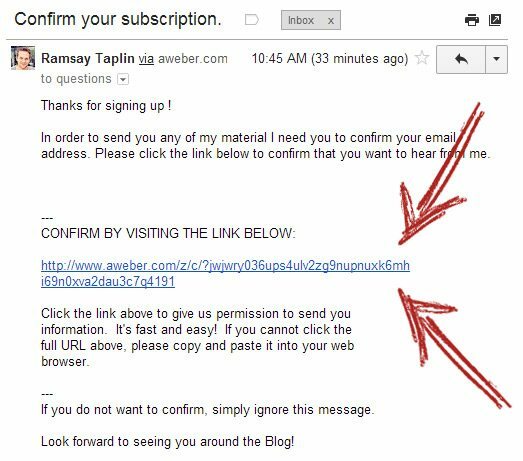 You need to click the link in that email to get email updates and instantly watch your free video. This is a necessary step to ensure you entered the correct email address. Make sure you check your spam box as it sometimes gets caught there. Please also ensure that you white-list the email address in order to ensure that future emails don’t get lost. Once you have confirmed your email address I’ll be able to send you all the goodies!